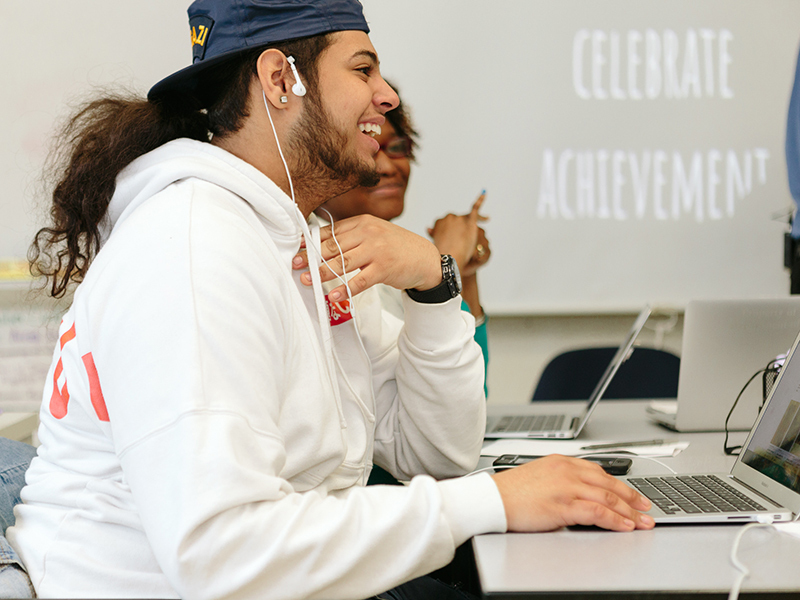 Bronx Arena staffs each classroom with Advocate Counselors (ACs), who are full-time faculty members that provide guidance and social supports for students. The school partners with SCO Family of Services, a New York City-based non-profit, who is responsible for AC staffing. ACs’ primary goal is to help students get the social and emotional support they need. They work to ensure that each student in their Arena (classroom) has a healthy mindset and safe space to be successful in high school. ACs partner teach with the generalist teacher in each Arena so that the whole student (academic and emotional) is supported within each classroom. While the generalist teacher’s primary responsibility is academic instruction and the AC’s primary responsibility is social and emotional support, in the classroom those responsibilities blend together each day. Bronx Arena knows that their students arrive with more than just academic needs, and understands the importance of ACs acting as a personalized social worker for students, building trusting relationships with students and being an adult they can go to for help, support, and encouragement.